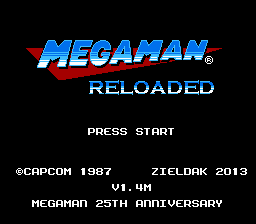 Mega Man Reloaded | A hack for Mega Man 1 (U) | Copyright ©2012-2016 Zieldak | V1.4M & V1.4B Mega Man is a registered trademark of Capcom Co., Ltd. THANK YOU FOR 4000+ DOWNLOADS FROM RHDN AND AN ADDITIONAL 2500+ DOWNLOADS FROM OTHER SITES! Mega Man Reloaded is a simple Mega Man 1 hack. 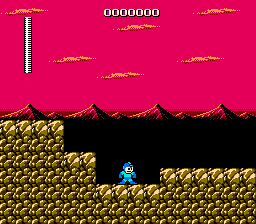 It has new graphics, new layout and design, and music ported from Mega Man 2! August 12, 2012 First Demo Release. August 21, 2012 Second Demo Release. December 24, 2013 Truly Final Enchantments - Minor Fixes. V1.3 *** PROJECT FINISHED…? NOT! New stage graphics, design and sprites. Ice Slasher is now capable of destroying enemies! Ice Slasher and Rolling Cutter now can be fired 56 times without recharges! All weapons are weakened with the exception of Ice Slasher, it’s the most effective weapon in game. Music is hacked unlike in most of Mega Man 1 hacks! 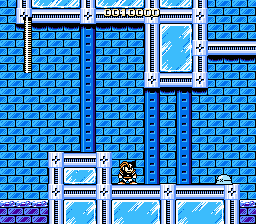 The music was imported from Mega Man 2/Rockman 2. 2 songs are from MM1. 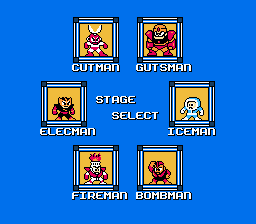 All enemies deal more damage to Mega Man. All enemies have more health. And are much more annoying. All bosses have a primary and secondary weakness! V1.4B features Bass and V1.4M features Mega Man as the playable character. Bass (unfortunately) has the same mechanics as Mega Man. Various graphics and palettes have been sightly modified. A platforming section in Cut Man’s level has been changed to be less frustrating. It’s now possible to finish the game without the Magnet Beam. Removed a set of spikes from Wily 4. There may be some unlisted changes. Glitch: The Final Boss Room Backscrolling. Doesn’t seem to be fixable. Can be performed in the original game too. Glitch: When you die at the Final Boss while holding right and don’t releasing it until respawning successfully will make you glitch into Wily’s room. Just don’t abuse this. CAPCOM for creating Mega Man/Rockman. Dan for creating Rock & Roll Level Editor for Mega Man 1/Rockman 1. Brian Bennewitz for creating Translhextion, a great simple HEX editor. Bisqwit for the Mega Man 1 disassembly document, and the MM1, MM2 music documents. Teknology for creating NAPIT, a plain, but great BMP-NES converter. NetSplit for hacking notes and main help. Insectduel for hacking notes and main help. Visor (SpaceNinja88/DigitalNinja21) for Beta Testing and feedback. Thanatos-Zero for Beta Testing and feedback. Everyone who followed and helped with the project at Board 2! 1. YOU ARE NOT ALLOWED TO SELL THIS ROM-HACK AS A CARTRIDGE, DIGITAL DOWNLOAD TO MAKE MONEY/PROFIT/CASH! IT IS ILLEGAL AND VIOLATES THE COPYRIGHT BOTH THE FAN GAME CREATOR AND THE ORIGINAL GAME COMPANY. IT IS CONSIDERED COPYRIGHT INFRINGEMENT. YOU CAN SEND THE .ZIP FILE OR THE .IPS FILE TO YOUR FRIENDS, BUT ONLY IF YOU DON’T GET MONEY FOR THIS. 2. THIS ROM-HACK CANNOT BE DISTRIBUTED AS A PRE-PATCHED ROM AND UPLOADED TO ANY ROM SITES AND TORRENTS WITHOUT PERMISSION AND AUTHORIZATION FROM ZIELDAK! 3. DO NOT CLAIM THIS HACK AS YOURS! WHEN YOU DISTRIBUTE THIS ROM-HACK TO OTHERS, MAKE SURE THE .ZIP IS NOT ALTERED! 4. DO NOT USE THIS .IPS/PATCHED ROM AS A BASE OF YOUR ROM-HACK WITHOUT PERMISSION! This Rom-Hack and the author Zieldak is not endorsed or supported by Nintendo, and the author is not affiliated with any other corporate entity. The IPS is freeware. The author cannot be held liable for damages of any kind arising from its use or presence. Use at your own risk!